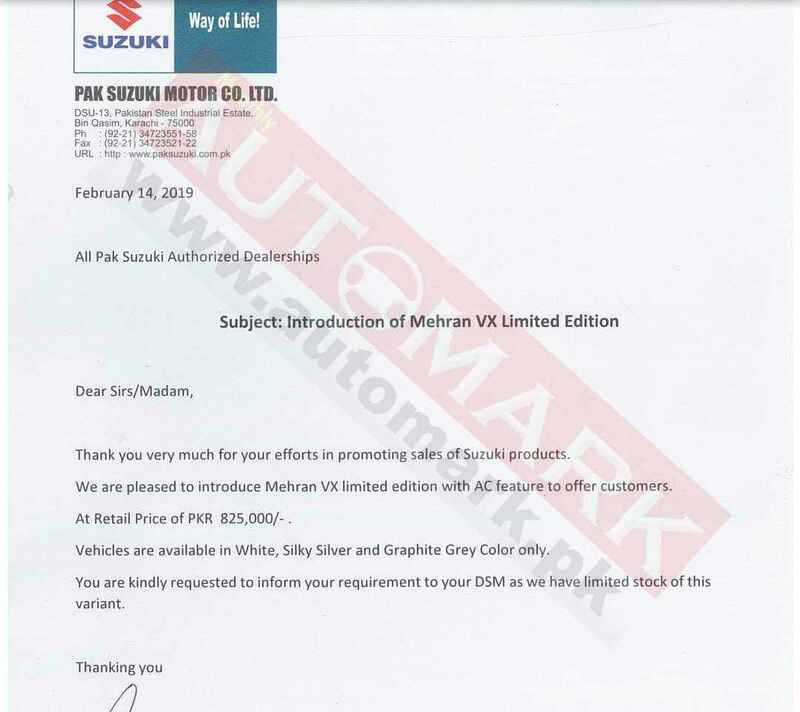 In a notification to authorized dealerships across country, Pak Suzuki Motors Limited (PSMCL) has informed that the company is pleased to introduce Mehran VX Limited Edition with Air condition features. The car will be available in three colours i.e White, Silky Silver, and Graphite Grey and comes with a price tag of PKR 825,000. It is important to mention that last year in September Suzuki officially announced to discontinue its all-time favorite and popular Mehran’s VX model from April 2019. According to a notification issued by Pak Suzuki to its dealers, the company said that the production of the Mehran VX (without an air-conditioner) will be discontinued from November 2018 while the production of the VXR variant (with an air-conditioner) will be discontinued at the end of March 2019. PSMCL had also requested its vendors to carry out effective material and production management for smooth production of remaining vehicles and to avoid any surplus inventory at either end at the time of model discontinuation. It has also been reported that the Japanese automaker has decided to replace Mehran with 660cc Alto’s variants by the mid of 2019. According to sources, Suzuki has taken the difficult decision to discontinue one of its most-selling cars was due to the pressure from Suzuki Japan. 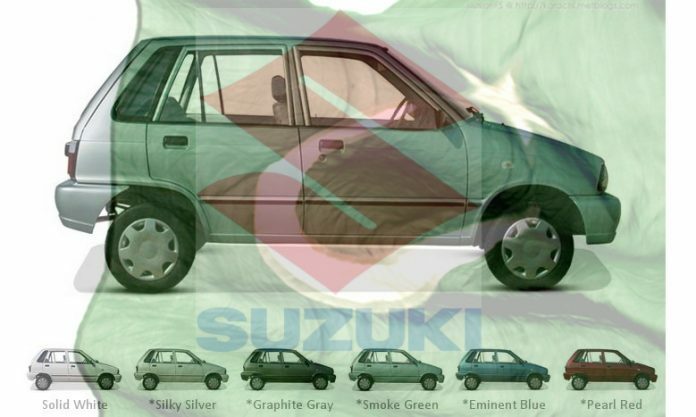 Suzuki Pakistan had to discontinue Mehran after it was turning increasingly expensive for the parent company to provide the engine parts for the car.